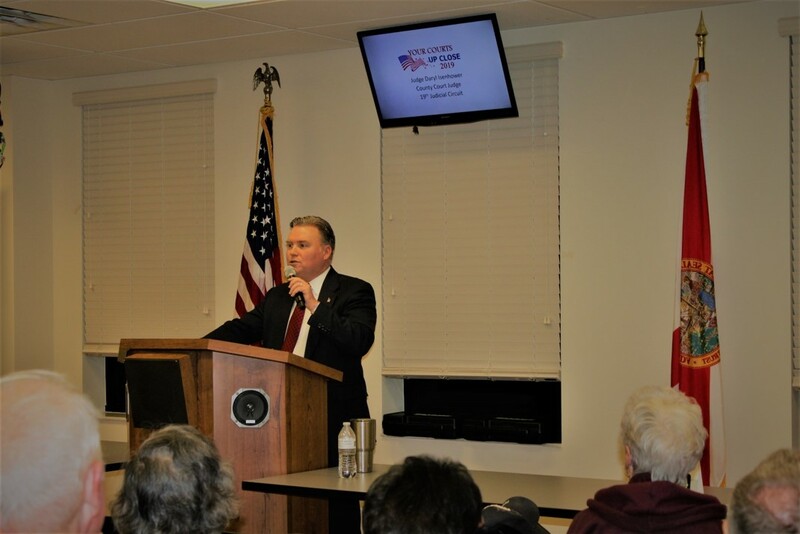 The first sessions of the community outreach event, Your Courts Up Close, was successfully held on February 19, 2019. 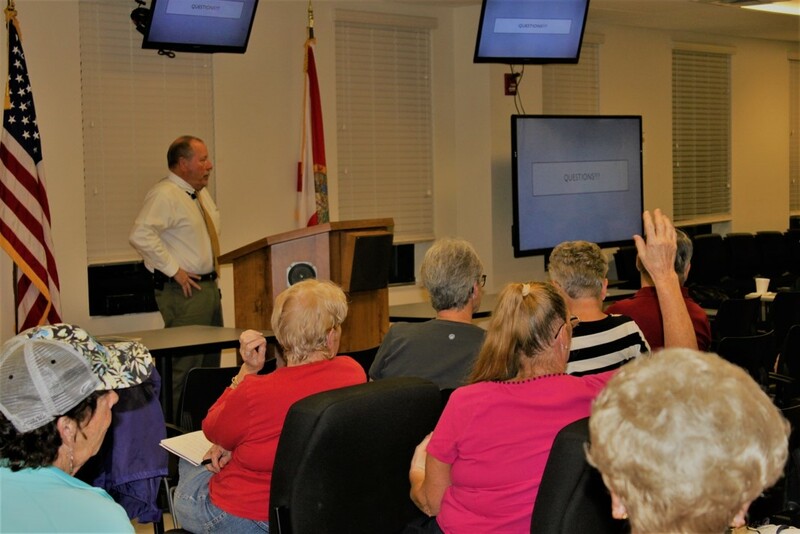 Your Courts Up Close is a free event hosted by Judge Daryl Isenhower of St. Lucie County. 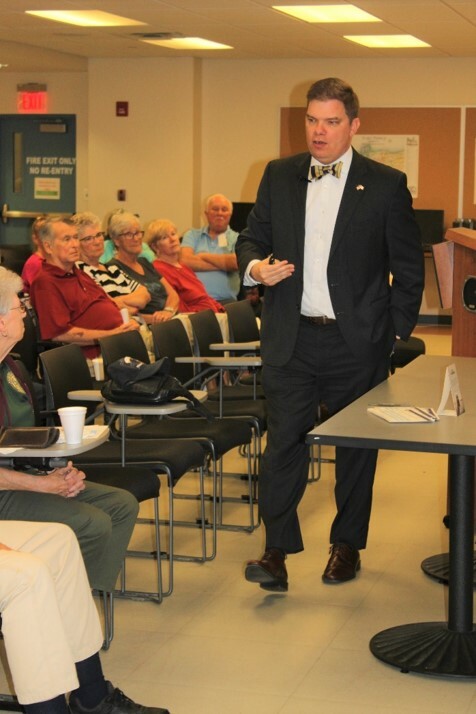 The Nineteenth Judicial Circuit has hosted this program annually for the past three years. 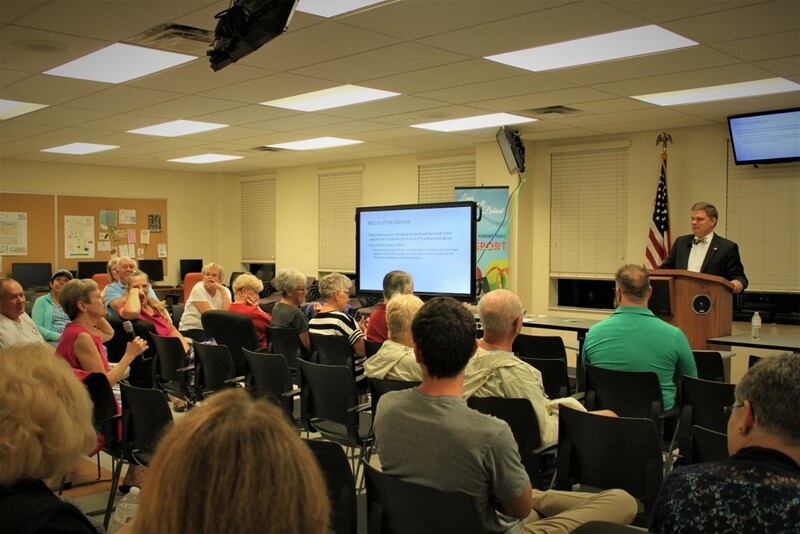 Attendees include a wide variety of community members, from retirees to high school students. The attendees are able to learn about court operations and the role of a judge in the judicial system. Various judges around the circuit volunteer their time to present on a mix of court related topics to the community at large. 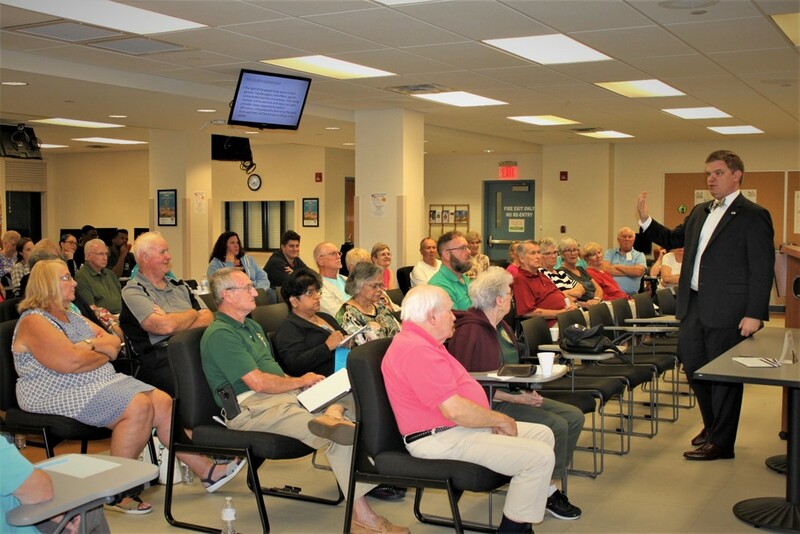 Your Courts Up Close is held in the jury assembly room at the Ft. Pierce courthouse located at 218 South 2nd St., Ft. Pierce, FL. 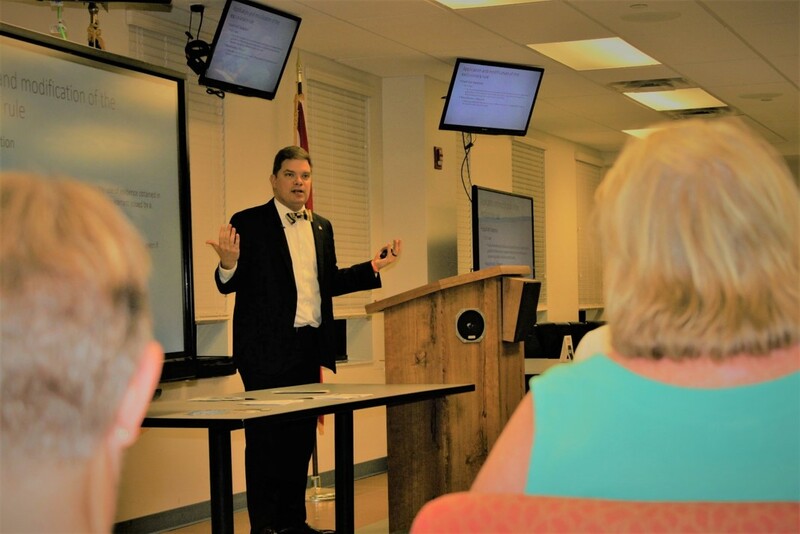 Indian River County Judge David Morgan spoke about the procedures for setting a bond and conducting first appearances. The attendees learned that their judges ensure due process every day of the year, including Christmas and New Year’s day. Judge Morgan answered questions about all aspects of the process. The attendees asked questions about the process and what happens from the time of arrest to the time a defendant stands before a judge. 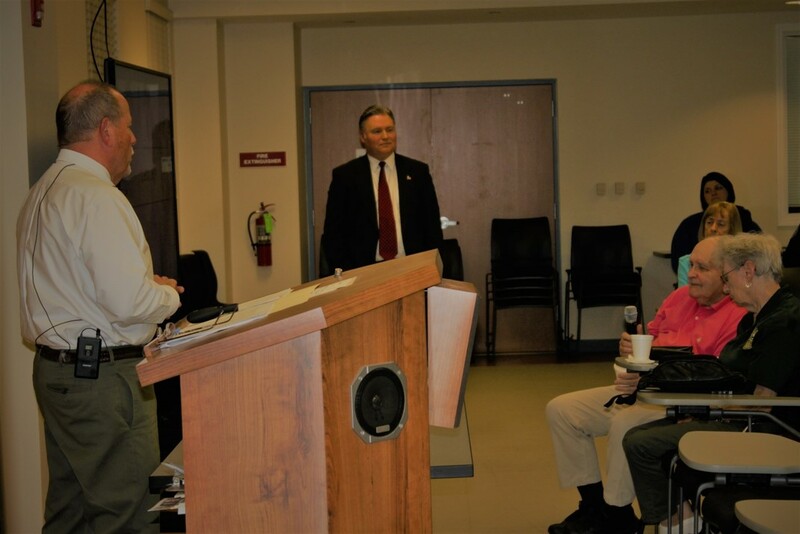 Circuit Judge Michael Linn provided an engaging presentation on the U.S. Constitution’s 4th Amendment. 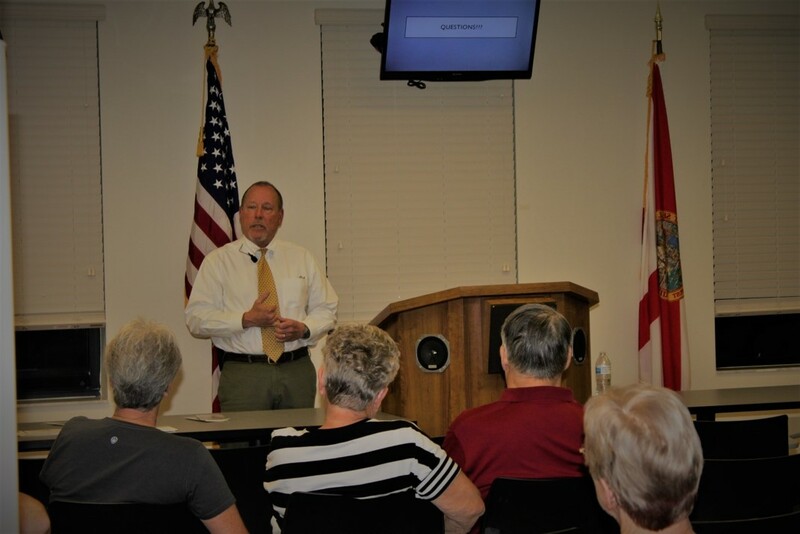 His presentation on the 4th Amendment covered questions about warrants, searches, seizures and probable cause. 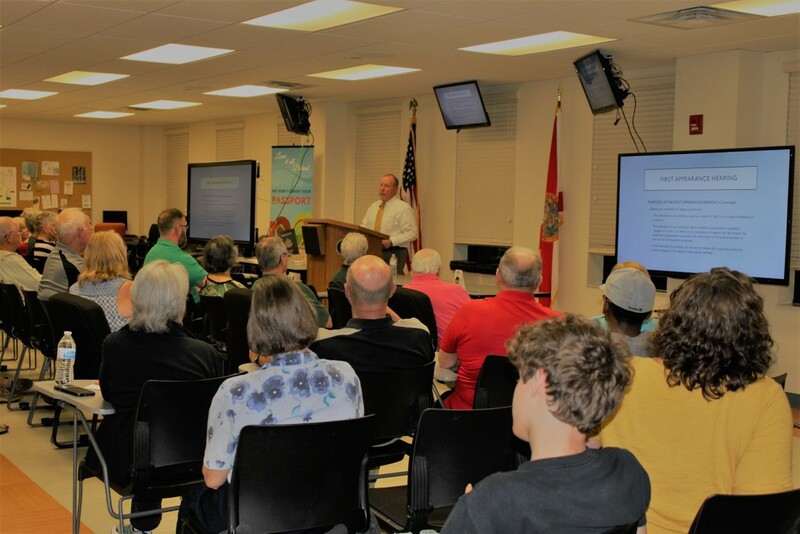 Judge Linn encouraged the attendees to take the time to read and understand both the U.S. and Florida Constitutions regarding the rights and privileges of all citizens. Anyone who is interested in attending Your Courts Up Close can still register for an upcoming session. It is not too late to be included. Please call 772-807-4370 or register online at www.circuit19.org under the “Forms” section of the website.